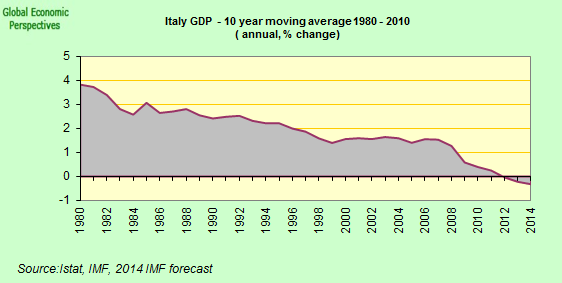 Italian Economy Watch: 2007 Budget Debate Reaching Critical Moment? 2007 Budget Debate Reaching Critical Moment? Now I know Hans would say that all of this has still got a long way to run, and I am sure he is right. But I also think that the contents of the budget are a lot more critical than many inside Italy may have previously realised. I think the action taken by the ratings agencies is pretty significant, to some extent they have stepped in where the weaknesses evident in the EU Commission's ability to manage the Stability and Growth Pact have become only too apparent. So the debate is now a serious one, and Prodi's threat to call a vote of confidence appears to be in earnest (wasn't it only yesterday that Wolfgang Munchau was assuring us that the coalition was shaky, "but not about to collapse". He may well still be right, but he may also underestimate just how difficult it will be for the electoral base of the left to swallow the budget cuts). Romano Prodi, Italy’s prime minister, on Monday summoned all ministers and political party leaders in his centre-left coalition to a showdown meeting to win parliamentary approval for his contentious 2007 budget. The meeting, to be held next Saturday, will take place as Mr Prodi battles to assert his authority over his coalition, and as centre-left leaders issue almost daily denials that there is a plot afoot to topple him and install a new premier. We are talking about common work in parliament to ensure that we can arrive at the fastest possible approval of the budget,” Mr Prodi told reporters. 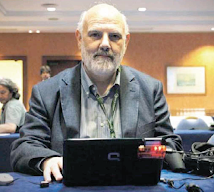 He said the meeting – unprecedented since his victory in last April’s general election – would decide whether to cut short debate on the budget by attaching it to a confidence vote that, if lost, would cause the government’s fall. Mr Prodi insists that this time he intends to serve a full five-year term as premier, but the uproar over his 2007 budget has exposed tensions in his coalition, a jumble of Catholic centrists, reformist socialists, Greens, communists and others. Mr Prodi’s vulnerability is made more acute by the fact that, like Tommaso Padoa-Schioppa, finance minister, he is a non-party technocrat in a political culture where party traditions and loyalties count for a great deal. In order to steer the budget through parliament’s upper house, where the government has a mere one-seat majority over the opposition, Mr Prodi and Mr Padoa-Schioppa must rely on the support of small leftist parties with a few seats each. Anyone else got a take on this?